Two Spruce Farm, in operation since 1996, is located on a quiet country road in Berthoud, Colorado. 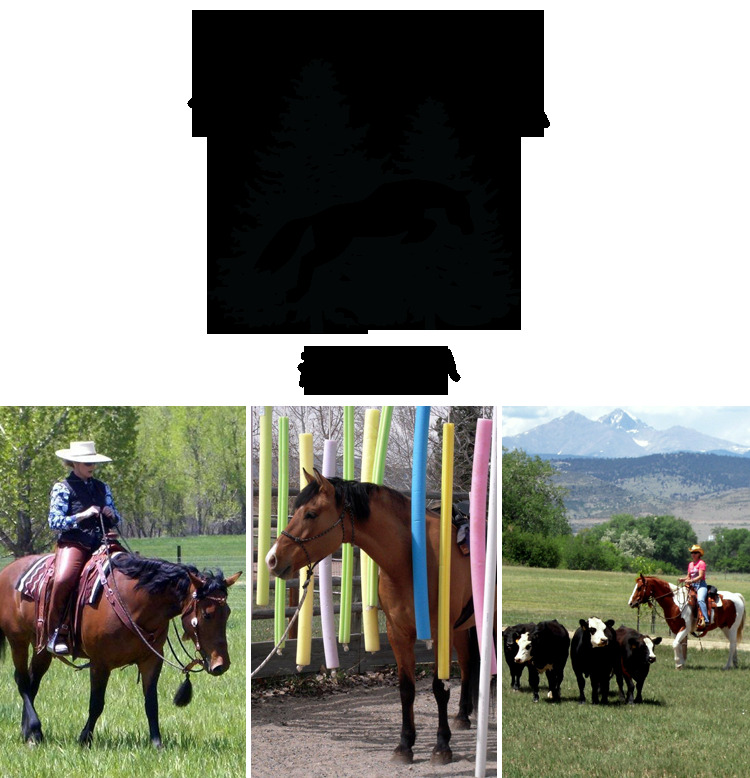 Owned and operated by trainer/instructor Jody Marken, Two Spruce Farm strives to provide a friendly, fun learning environment designed to promote better understanding and mutual respect between people and their horses. Two Spruce Farm is honored to collaborate and partner with many outstanding members of the equine community. Two Spruce Farm wishes to say THANK YOU to all participants: riders, horses, instructors and helpers – for your support and the opportunity to share our passion together!